Los angeles : Some people in America are still not able to digest new President’s Donald Trump victory. America is seeing demonstrators gathering again in cities across the United States to protest against President-elect. Earlier the rallies which were organized only during day were now scheduled throughout the day in New York, Los Angeles and Chicago. Protesters believe that Trump’s rise will threaten their civil and human rights. The demonstrators were heard chanting slogans including "Not my president!" 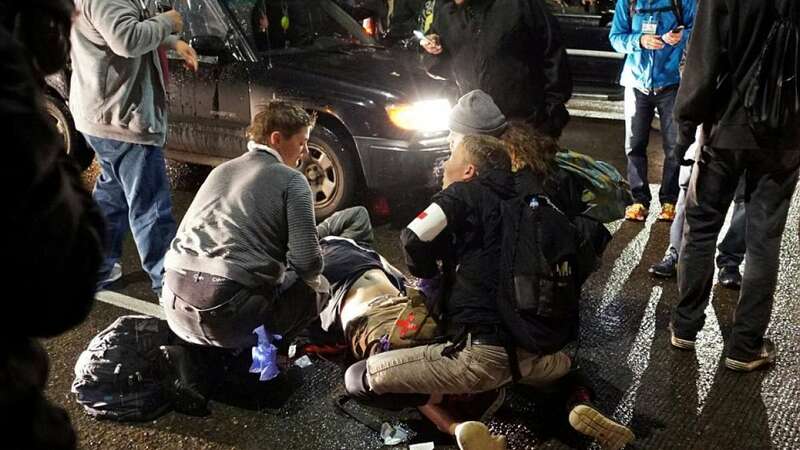 On Saturday morning, an anti-Donald Trump protester was shot during a demonstration in Portland, Oregon, police have said. He was immediately taken to the hospital after the shooting, which took place took place on the Morrison Bridge in Portland around 1am on Saturday. He was shot at by unidentified gunmen who are still at loose. Meanwhile, Trump’s son Eric Trump and his wife, Lara Yunaska, were heckled on the streets of New York by a group of teenagers. They have been provided protection and security following the heckling.